Michael Jordan’s college days at the University Of North Carolina are at the very roots of his timeless legacy. 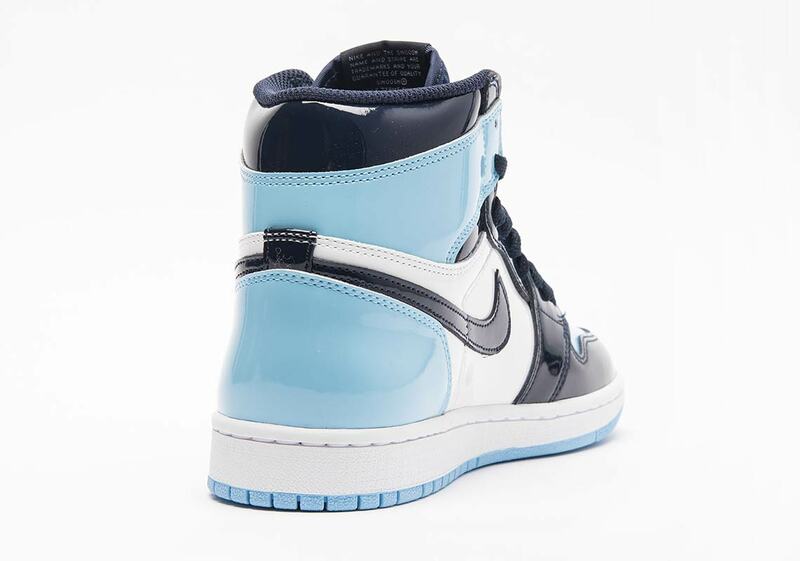 Jordan truly earned his wings during his time at Chapel Hill, winning an ACC Player Of The Year award in 1984, and — most memorably — knocking down a game-winning jump shot in the 1982 NCAA Championship Game against Patrick Ewing and the Georgetown Hoyas. 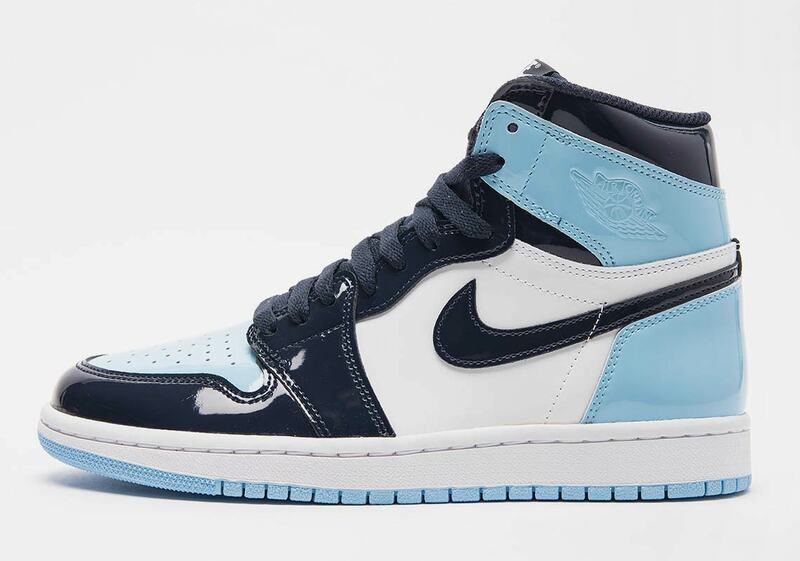 Jordan Brand has called upon the Tar Heels powder blue, navy, and white palette for many a special release before, and with All-Star Weekend in Charlotte right around the corner, they’re doing so once again. 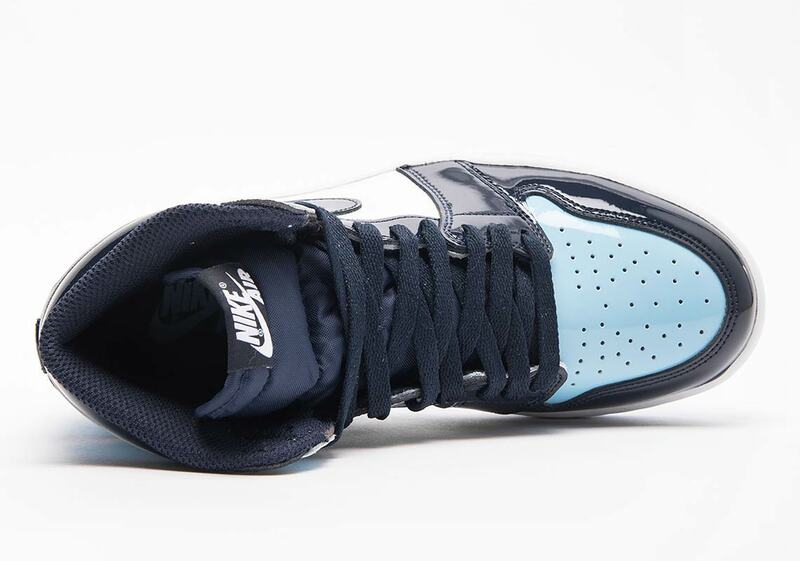 The classic UNC combo of blue hues is coming back to the Air Jordan 1 — this time with a ladies-only patent leather construction to boot. 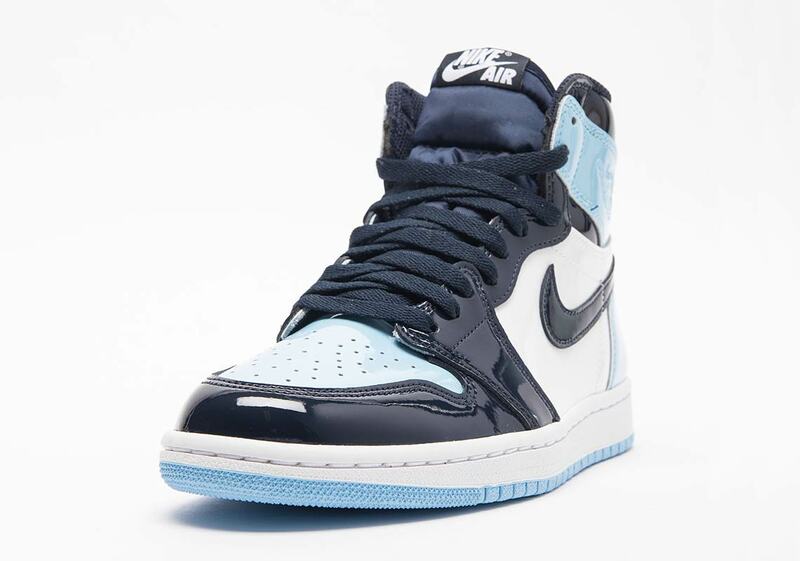 Using the aforementioned Carolina blue as the base color and offering navy/white accents, this Air Jordan 1 Retro High OG is a striking Tar Heel-styled homage that’s sure to excite sneakerheads/UNC fans around the globe. As it’s women’s-only, it’ll likely have larger-foot Jordan fanatics checking the size conversion chart to see if they can get a pair as well. 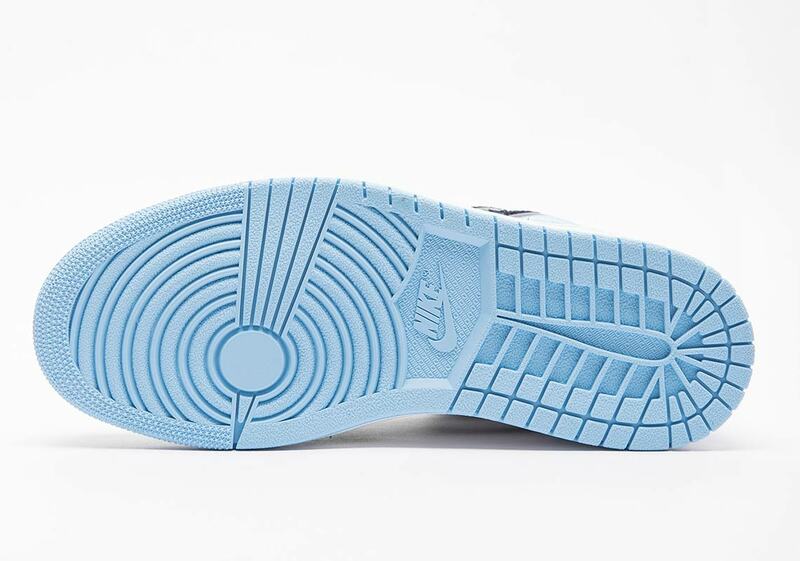 Grab a detailed look at the new UNC AJ1s below, and expect a release February 14th — Valentine’s Day — for $160 USD at select Jumpman retailers.